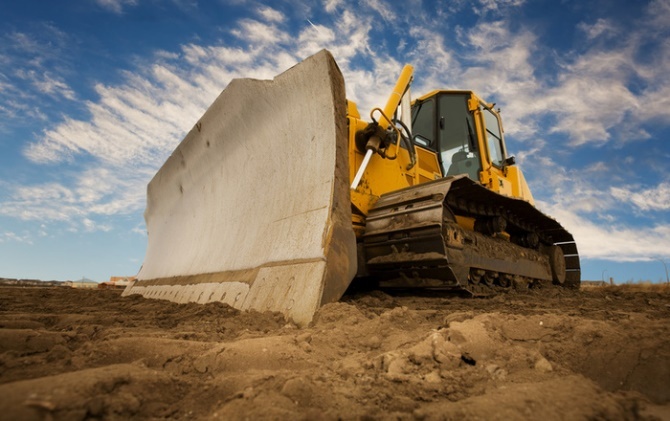 Off Road Equipment Users – Are you ready for the 2014/2015 changes? CHANGES ARE HERE! And if you haven’t seen them yet, you will very soon. In 2011 Tier 4 and Stage 111B engines were released due to the new demands for lower exhaust emissions called for by the US Environmental Protection Agency (EPA) and European Union (EU). Engine manufacturers were required to reduce Particulate Matter (PM) exhaust emissions by 90% and Oxides of Nitrogen (NOx) exhaust emissions by 45% compared to Tier 3 and Stage IIIA emissions standards. How did these diesel manufacturers achieve this? Selective Catalytic Reduction System (SCR) or cooled Exhaust Gas Recirculation (EGR) with integrated exhaust filters. Now in 2014, Tier 4 Final and EU Stage IV is calling for even lower emissions and is going to include Off Road Equipment. We are going to focus on news from industry leaders Volvo, CAT, and John Deere in respect to heavy equipment changes. Hope you are ready for the changes- but if you aren’t, no worries, Lynch Oil has plenty of drums and totes full of DEF available for you, whenever and wherever you need them! Just ask your sales rep! So, What Do You Have to Look Forward To? Throughout 2014 and 2015 all new off road equipment that is diesel powered will need to be compliant with the Tier 4 Final requirements. Engines will be equipped with a Selective Catalytic Reduction System (SCR). SCR is a system where DEF reacts with NOx converting the NOx emissions into nitrogen, water, and small amounts of carbon dioxide. Back in 2011, Volvo, CAT, and John Deere, used Exhaust Gas Recirculation (EGR) to lower NOx emissions. This method recirculated exhaust gases back into combustion chamber to be burned again, eliminating a good amount of emissions, but not all. These three big players will all adopt the SCR system which will eliminate almost all emissions from now on. Say hello to the Final Stage of Tier 4 Engines- at least until they think of something new! Moving Forward with an Engine Adopting the SCR System? Exhaust Fluid is going to become your new best friend when moving forward with an SCR System. The DEF tanks will be located next to the diesel tank on equipment. Tank sizes will vary based on manufacturer and type of equipment you are operating. Manufacturers have designed them so that for every tank of diesel you use, you will use one tank of DEF. If the operator forgets the DEF or uses defective DEF, the equipment will first signal warnings letting operator know. Shortly after this, engine will slow down, and eventually if no DEF is added, engine will shut down completely until fluid is added. Don’t let this happen to you- Sign up TODAY for Equipment Fills on your jobsite for both diesel and DEF! What is Diesel Exhaust Fluid; and How Do You Keep it Fresh? Diesel Exhaust Fluid, you probably know of it by its acronym DEF, is a mix of 32.5% urea (a nitrogen containing compound) and 67.5% de-ionized water. Why 32.5% urea? This percentage provides the lowest freeze point and provides the best protection in cold temperatures- As if any of us Floridians need to worry about that! But don’t go thinking you can water yours down, your engine is specifically configured for this mixture no matter how warm your winters may be. DEF should be a crystal clear liquid- if it’s not you might be dealing with contaminated fluid. When buying DEF, make sure it meets the ISO 22241-1 requirements; if you don’t, you could be damaging your engine. Some simple rules for transporting your Diesel Exhaust Fluid. DEF should always be transported in a clean, appropriate DEF container. Never transport it in a used oil jug or coolant jug. Think that old gallon jug is clean? Probably not. Non-visible contaminants with potential to damage the SCR system are probably in there. You might not notice any problems right away if using a contaminated container, but we can almost guarantee that problems will arise down the road. 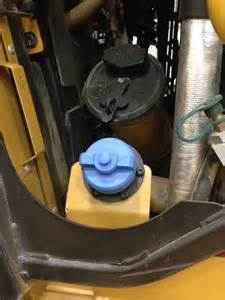 Storing your Diesel Exhaust Fluid is pretty simple. Keep it in a clean, dry, well-ventilated area. Storage temperatures should be between 12 Degrees Fahrenheit to 86 Degrees Fahrenheit. Do this and your DEF will have a shelf life of one year. Can’t keep with the storage requirements? No worries- you’ll just lose efficiency and shelf life will decrease. If your DEF loses potency due to improper storage use (mainly caused by direct sunlight), the Selective Catalytic Reduction System (SCR) will pick up on this and dispense DEF at a higher rate. This will cause you to use more product, but at least you won’t have to throw it out! Love it or Hate it, this is the future. Call your Lynch Oil Sales Representative for more information on DEF drums, totes, and bulk deliveries. We also now offer fleet fueling/equipment fills of diesel exhaust fluid in conjunction with our diesel fleet fueling/equipment fills. Let us help you get on board! Does your transmission fluid meet the required OEM spec?